Here is another étude in double-tonguing by Danish flutist Joachim Andersen. This Moderato in B-flat major is study No. 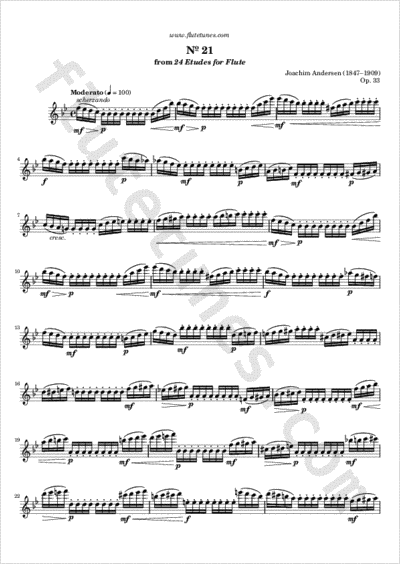 21 from his Twenty-Four Etudes for Flute, Op. 33.